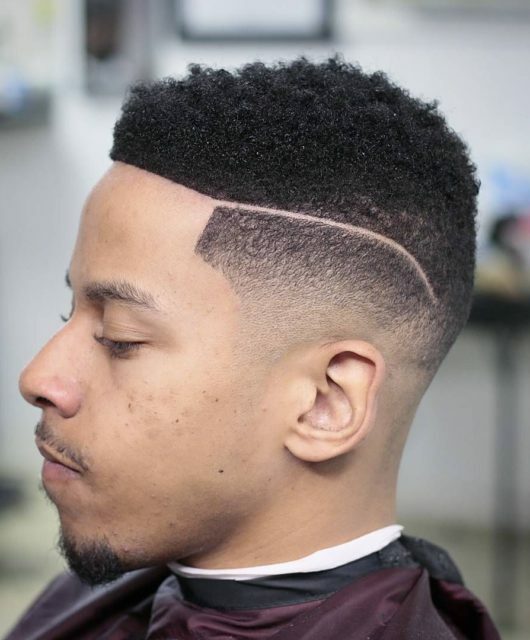 When you first hear about a tapered fade haircut, you will probably not be able to point and acknowledge how it is different vs other types of fade haircuts. You’re not alone, my friend. 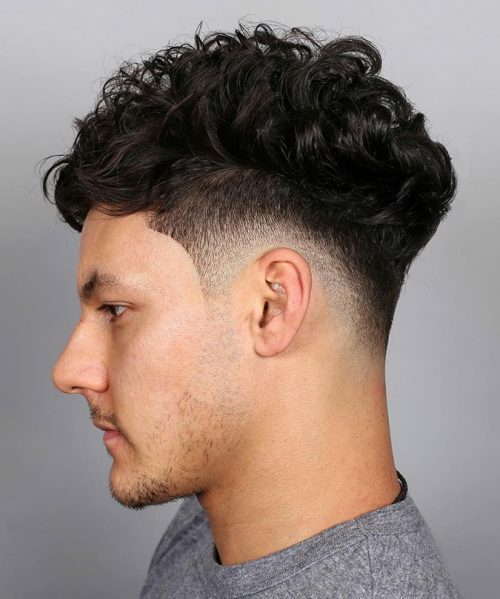 Chances are, that you will not be able to tell why a tapered fade is different from an undercut hairstyle. Or even differentiate a high fade vs a low fade? All types of fades will just look the same. It’s really unfortunate for those who end up giving their hair in sacrifice to their salons, in hopes of getting a fade haircut that they didn’t even want. Oh and the misery that comes with it for the next few weeks. That’s not cool. 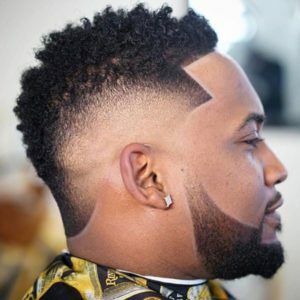 Even though this post is going to explain what a tapered fade is, you can head over to a previous post, to learn more about the types of fade haircuts. That post will help you to make informed decisions on the kind of fade haircut you should ask for. Getting back to the taper fade haircut. The hair on top are medium or longer in length. Whereas the sides are cut shorter. Learn More: What is a fade haircut? Different Types of Fade Haircut Click here to learn more. The link opens in a new tab. As one of the most popular hairstyles of today’s times, it becomes very obvious to the onlookers when someone’s faded taper haircut is done properly. The fading hair from the top to the bottom can’t be overlooked. 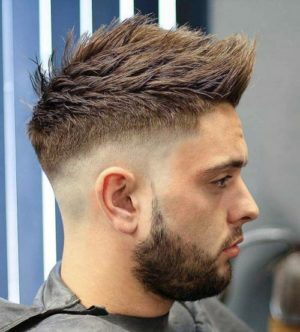 The fashionable tapered fade haircut is considered to be one of the most popular cuts among most men all over the world. 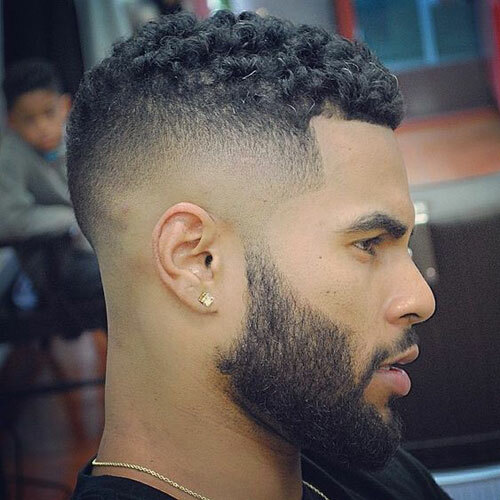 Although every man has a different perspective about the what that perfect tapered style of fade they want, it is always recommended to research the style and references you are looking for, before you hit that barber seat. 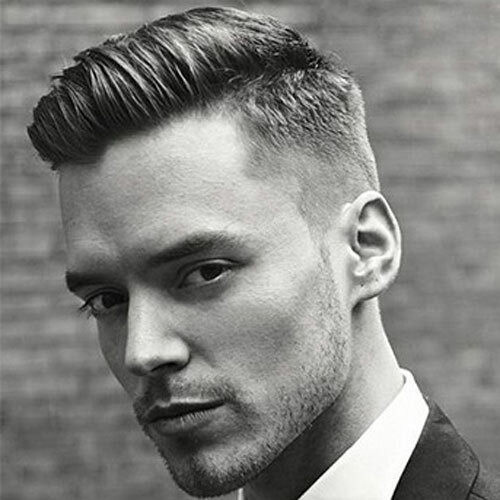 How it is different than a classic fade haircut for men? The tapered cut has longer hair at the top that gradually gets shorter as goes down towards the side and the back of your head. Usually, the hair at the top is about two to four inches long in a tapered cut. How short it is on the sides, depends on every individual’s personal preference, hair color, personality, the size of their cranium, and their face shape. Remember that in a taper cut the hair at the back and sides are extremely short, but not shaved off completely. The classic taper fade haircut for men, however, has no hair on the back or on the sides of the head. The baldness merges into the hair towards the top of the head. Think of it as a gradient. 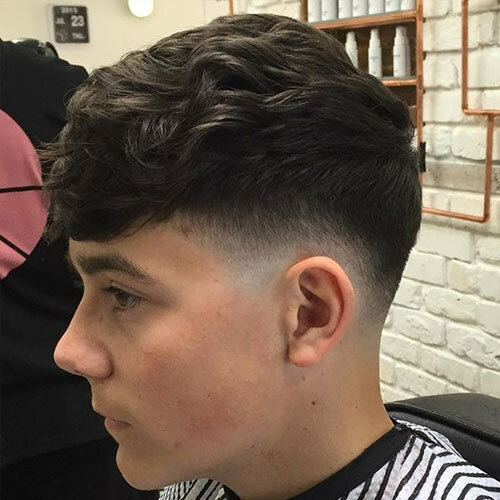 The classic fade may appear very similar when compared to the taper cut, the final style may look very different. Below, we’ll show you some different types of taper fade haircuts. A high top taper belongs to the high and tight hairstyle family. It is similar to the classic Mohawk but is closer to the classic fade. 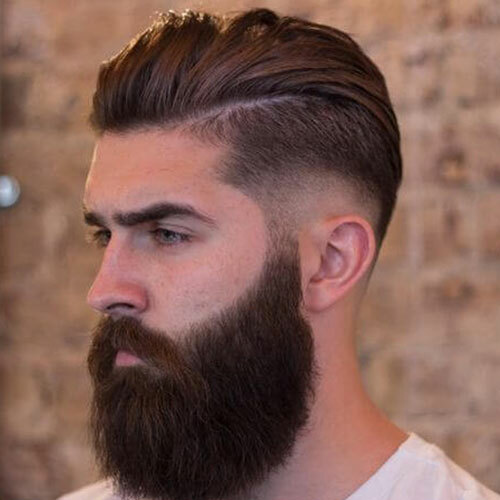 In this hairstyle, most sides are shaved off (do you see why this is closer to the classic fade?). The hair does not start fading up until two inches from the top. The main advantage of getting this haircut is low maintenance. Save time and effort. You would not need to style it every day. Depending on how quickly your hair grows, you might have to visit your hairstylist for regular touch-ups every few weeks. The mid fade gives men a perfect balance between the low and high fade. It is a kind of tapered cut that is above the ears and below the temples. It is right in the middle, considering the side of the head. In a low taper fade haircut, the length of the hair that is faded is increased by two inches or so. The hair fades only an inch when it comes to the normal hairline of the person wearing it. This is one of the most commonly done faded taper haircuts. The hair towards the crown is longer, which tapers down going towards the back and sides. The hair around the perimeter’s last part is shaved off completely. The hair that is on the top is grown out and then combed on the sides in a slicked back style. 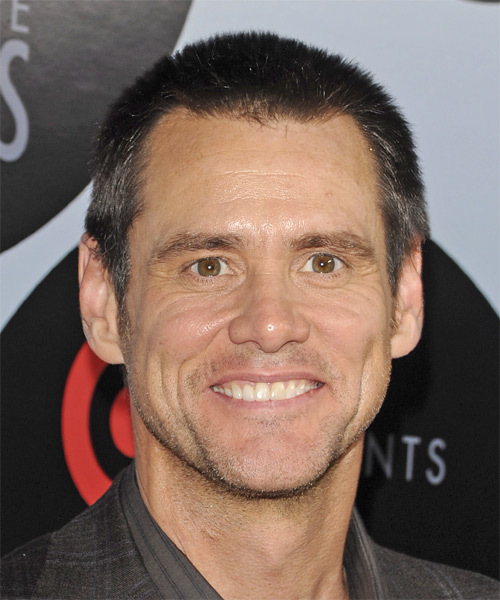 Men who are bald or close to balding adapt this haircut to prevent it from being prominent. 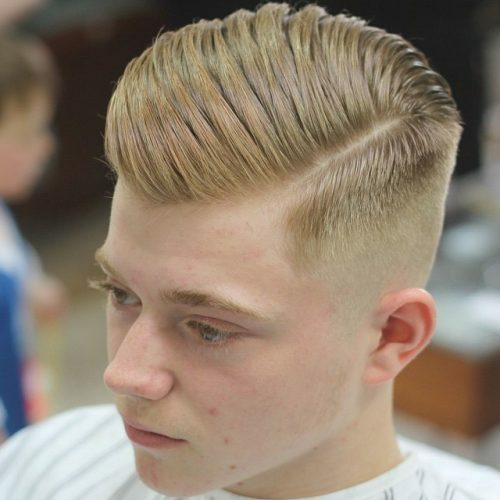 Moreover, a lot of young guys also pair this side part with the contemporary tapered fade. This can be considered as a faded taper style with some creative liberty. Since this style has been inspired from the conventional Mohawk and blended with fade and taper hairstyles, it brings out a unique and bold personality. The fade given is pointed, spiking the hair on top. But, it is not the same as the dramatic Mohawk, so it suits a larger percentage of men. This version of the fade and taper is most suited to someone who has curly hair. It is a great style to carry by someone who wants to flaunt their curls but still wants hair with low maintenance. Starting from the pop culture to the groovy, and to the modern men, it is suitable all the curlies out there. Men with such hair textures can go through different catalogs to see what it looks like. The examples given above must have given you a lot of ideas to take inspiration from. When going to your barber, remember that the taper fade and fade are both used interchangeably. But, they both are totally different when it comes to the style. So you have to be specific in asking what you want. You obviously must know that by now, after going through all the style mentioned previously. Both the taper and the fade grow back clean when they are compared to the napes and necklines, which are a definitive version of the line. 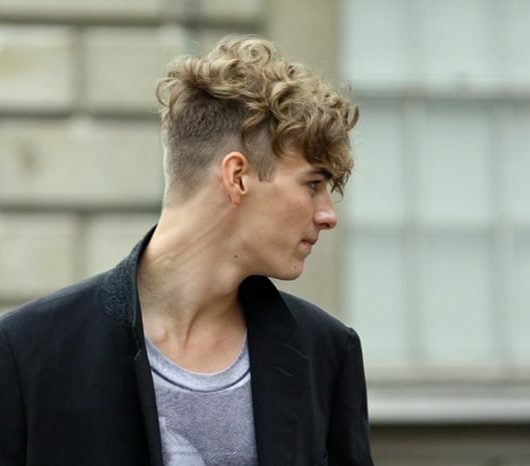 If you prefer short hair, one of the fades should be on your hairstyle bucket list.